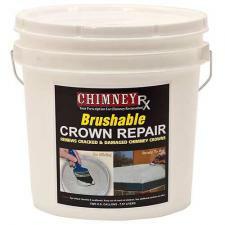 Chimney RX Brushable Crown Repair eliminates the high cost of chimney crown replacement. It is permanently flexible and is easily applied with a brush. Clean up is easy with soap and water and will fully dry in 2-4 hours. Available in 1 and 2 gallon sizes.